It might sound like a cliche, but water is life. Whether it’s for an emergency kit or a camping trip, having a supply of clean water is most important in any survival situation. As a general rule of thumb, you’ll need about one gallon of water per day, per person (and per pet!) in the event of an emergency. It is a good idea to always store at least one week worth of clean water in case of a disaster. Water sources can become disrupted or contaminated for prolonged periods and you’ll need water for both consumption, cooking, and hygiene purposes. 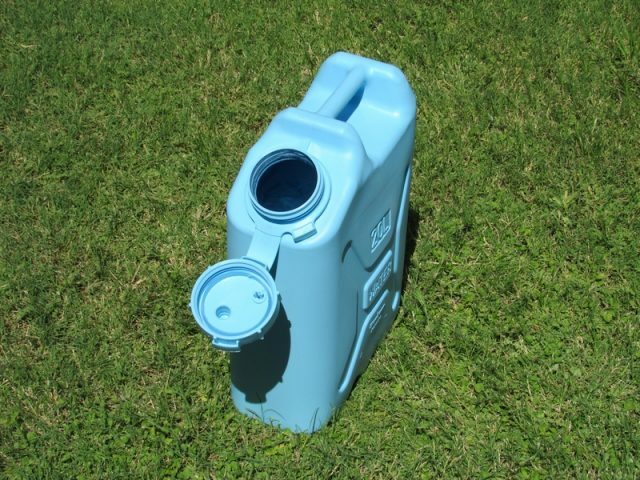 Proper water storage is fairly simple if you have good water storage containers and know how to store them appropriately. First of all, you need a water storage container that meets a number of safety requirements and viability tests. A container cannot be too heavy when full, needs to be durable, portable, puncture resistant, leak proof and meet food safety requirements. You also may or may not need it to be stackable, or to have a pouring spout or a spigot. It is not recommended to use metal containers for long term water storage. The safest containers to hold water in are polyethylene-based plastics, or plastics #1, #2, and #4. These types are food-grade, BPA free, excellent for long-term storage and do not leach harmful chemicals into the water leaving a “plastic” taste. The size of the water container you select depends on your needs. For short term storage you can use small containers (2-10L or in other words less than 3 gallons) and made out of soft collapsible plastic. If you plan to store more water for a longer period of time, you should pick a larger container made out of the most durable hard plastic material. 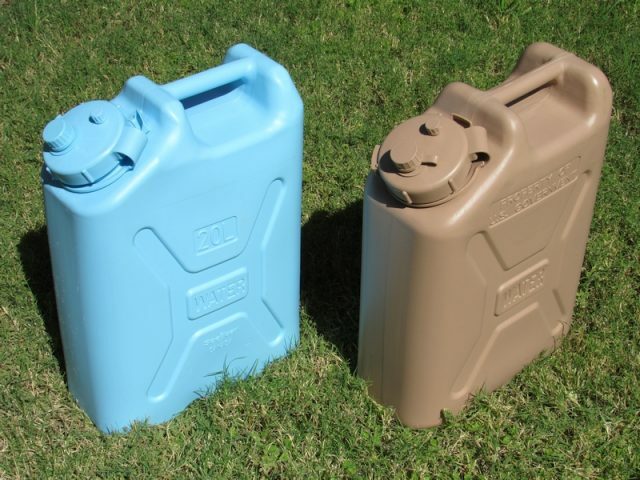 When you are deciding on water storage for camping or offroading trips, you need to select a container that is large enough to carry plenty of water (there might not be a clean water source the entire trip in some cases) and is durable enough to withstand the abuse in the backcountry. Carrying a good water filtration system is also a good idea when you’re out in the wild. 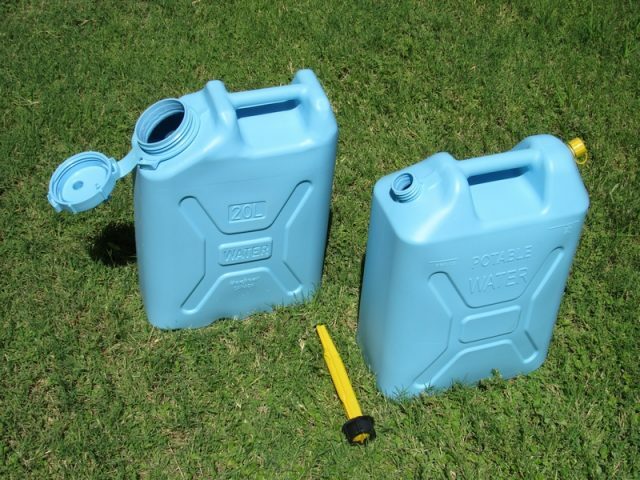 I personally use some of the small collapsible bottles for hiking and one-day fishing or camping trips and they all seem to do what they are designed for, but I did a lot of research before selecting the long term water storage solution, a large size water container. There are a ton of reviews and videos online explaining pros and cons of pretty much every water can available. 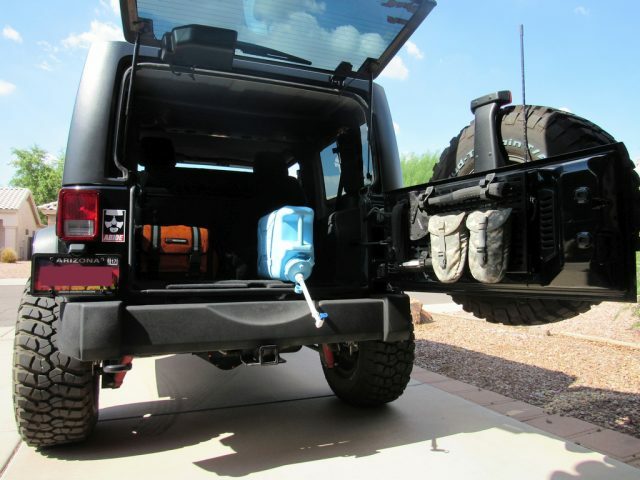 I decided that a water can I select needs to work as both emergency water supply at home and for camping or offroading trips. That means it has to be made out of thickest, most durable plastic available, guarantee no leaks, be easy to fill and provide a spigot versatile enough to allow simple operation in the backcountry. Unfortunately you can’t just buy the cheapest option available and expect it to last a long time. When you want to make sure a product like a water can lasts forever, you need to spend a bit more on it. My choice was a water can by Scepter. This Canadian company makes both a military version of a water canister, produced to military specifications with a large opening and a “civilian” version, much more affordable, with smaller opening. These containers are used by both the US and Canadian military, so you know they are designed to survive in the toughest environments. Scepter’s MWC (Military Water Canister) is a pricey option, but the same water can is made by LC Industries (US government contractor) at a lower price – call for availability because due to high demand it might be back-ordered. The only reason I bought the Scepter MWC was because I really wanted it in the UN blue color. LC Industries’ MWC comes only in desert tan, which is a cool color too. Here is a nice review video showing how solid these water containers are. At the moment I own one military water canister and one “civilian” can. Both come in the same blue color and are therefore easily recognizable as water storage containers. I mention it because often they end up right next to fuel cans inside my vehicle. My fuel cans are also Scepter made, and they are the same size, but come in desert tan color (they also have three handles to make it easy to recognize in the dark). My experience with Scepter’s MFC (Military Fuel Canister) probably had a huge impact on my decision when selecting a water can. 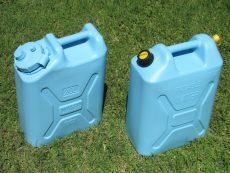 The fact that these water cans are the same size as jerry cans is another benefit, since they can be easily stored in a jerry can holders in a camper or outside of a vehicle. 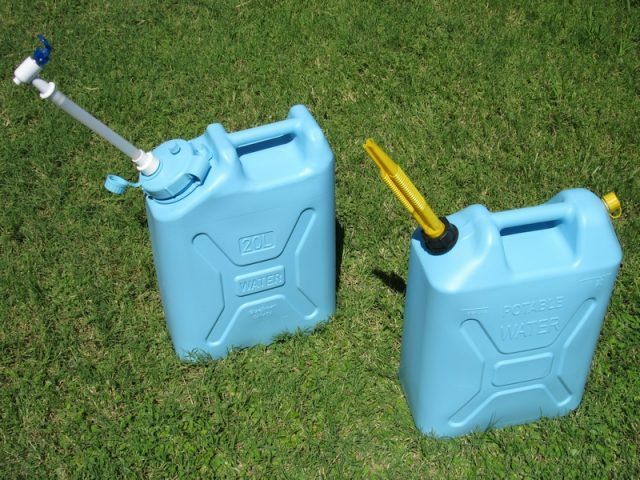 Here are the two versions of Scepter’s water canisters. The opening on Scepter’s military water canister is the largest among all available portable water containers. The dispenser for the military water can needs to be purchased separately, but it’s an extremely useful accessory. The canister’s wide opening makes it very easy to quickly fill it up with water. Here is a side by side shot of the Scepter and LCI water cans. The canister has flat walls so it can easily be laid on it’s side in the vehicle, on the edge of a table, on a rock or log, and with the addition of the dispenser provides total control of the flow of the water. If you have any comments or suggestions, feel free to submit them below.